Gathre: Have you heard of this company?! Because I am newly obsessed! Thanks to Erin for introducing me. Erin always knows about the best small shops, and she is the reason for far too much of my shopping! I'm for sure getting a baby changing mat for my diaper bag, but I'm fairly certain I'm going to need a multi purpose mat too! The mats are wipeable leather & gorgeous. Their instagram account will instantly have you pining for one! Little Unicorn: I realize this company isn't new to many people, but I have always thought their prints were super girly, so I was never overly interested. Well I just had it all wrong! I'm currently obsessed with their prickle pots print! I want it in everything. And it was a major inspiration for this baby's nursery theme which is succulents! Eek, can't wait to share more ideas for that. I'm also eyeing their outdoor blankets (not that I need one of these and a Gathre mat). I'm torn between the navy gingham or trying to pull off the midnight poppy with a trio of boys. WildBird: You all know we're a no stroller family, and that I'm a huge fan of baby wearing. I already own far to many wraps, slings, & carriers but that doesn't keep me from wanting to add to that collection. I do love my Sakura Bloom ring sling, but I want to shop small this time. WildBird is local to me (or used to be, she moved to California I believe) as are many of these shops I'm sharing today. The rose gold rings are calling my name. No idea how I will choose a color.... Right now, I'm kinda loving Dove. 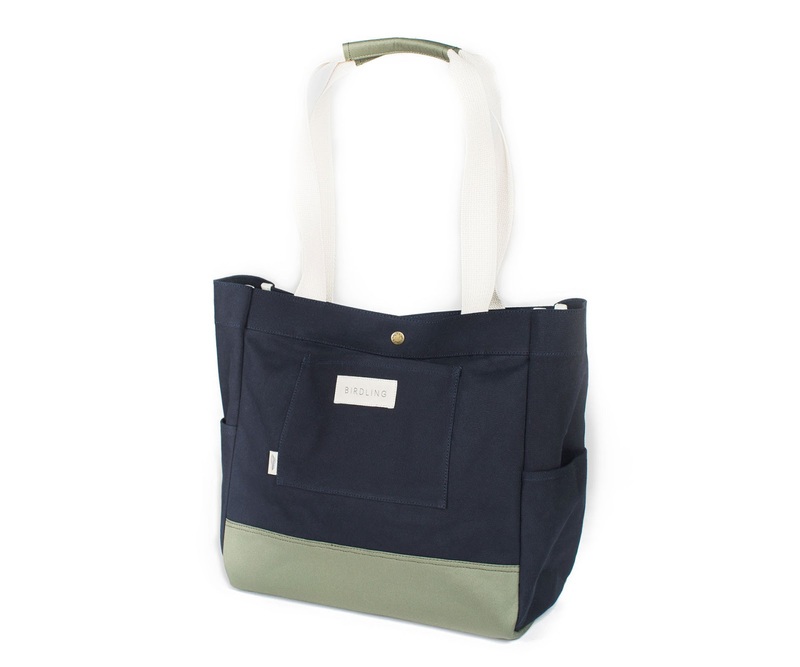 Birdling: I always treat myself to a new diaper bag with each baby. I don't like back pack styles (because of baby wearing), so that limits me. Laura told me about Birdling, and I've already made my purchase. I initially ordered the Day Tripper but it was waaaay to big! Take over my body big. No way I can haul that thing, wear a baby, and have two other kids in my control big. So I exchanged it for a Mini Day Tripper which has yet to arrive, but I think it will be perfect! I also feel like their prices are an absolute steal! Candy Kirby Designs: Again, not exactly a new company but just one that I thought was super girly. But then Erin (again) told me about their knotted gowns! 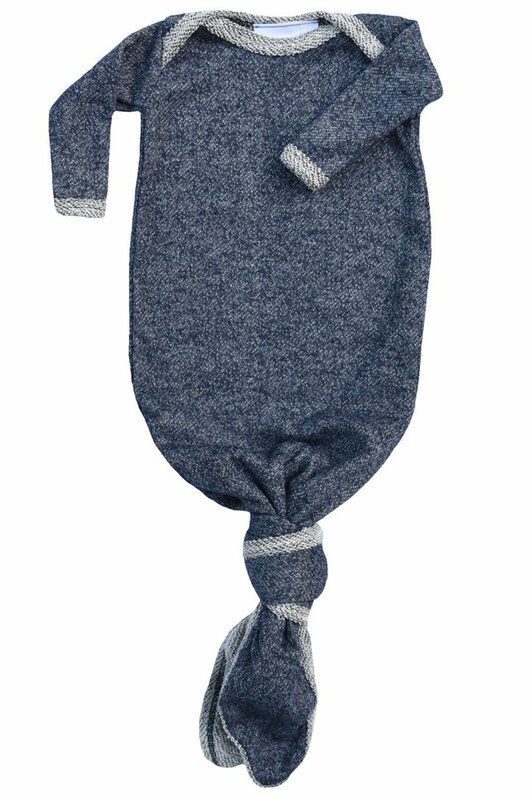 I don't need a coming home outfit for baby since we will already be at home, but this will be the perfect first outfit & also adorable for newborn photos. I want one in about 10 different colors, but I'm particularly drawn to cadet blue & marled navy. There's a real good chance I'll have discovered many more shops before baby actually arrives. So expect possibly another small shop list or two to make an appearance! Any other small shops I need to know about? Oh it's so much fun to baby shop! I love all of your choices. I wish I could suggest another shop to add to the mix, but sadly, I haven't shopped for baby clothes or items in quite a while. 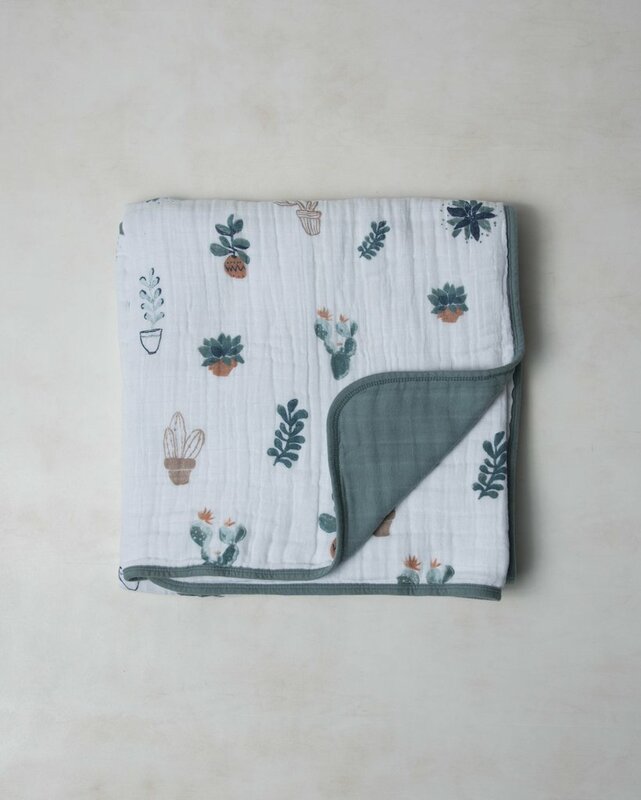 I am super excited to see what you do for the nursery--I love the succulent theme to go with that adorable blanket. Love it! I wish I had known about those Candy Kirby knotted gowns! They look so cozy! And I'm contemplating getting one of the Gathre mats to use under the highchair.. but I can't decide on a color. Too many good options! oh that little blanket! so precious! So many cute, perfect little boy things! I wish I'd known about these shops (or wish they'd been around) when Marcus was a baby. I totally missed the boat on so many good things. Love it all, and the colors too! I didn't baby wear with Mason, but fully plan on it with our 2nd. oh that knotted gown is so cute!! so, obviously not a parent so this might be why i thought this, but i would have thought backpacks were better for baby wearing? or maybe i read that somewhere? good to know that's not the case, i like shoulder bags. So many cute items! I love the knotted gowns! 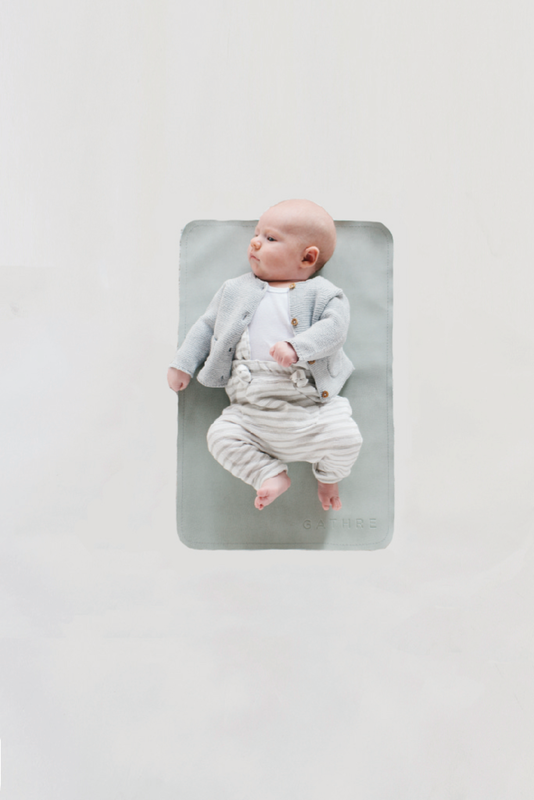 I LOVE everything from Little Unicorn, I think it'll be my new go-to for baby gifts. And those Birlding bags are perfect. Can't wait to see all these cute things put to use with your new one..!! oh I need that blanket! And the bag... So many sweet baby things!! Little Unicorn totally inspired my nursery theme idea as well. I'm thinking cactus! But your succulents idea has me swooning too!! So perfect.